From time to time, we’ll get a baritone in the shop that has severe intonation issues or the highest tones don’t speak well when played loudly or very soft. When this happens, the palm keys (particularly from E and above) will come out an octave too low. To repair this, the octave pip must be moved from the receiver to a location on the neck. 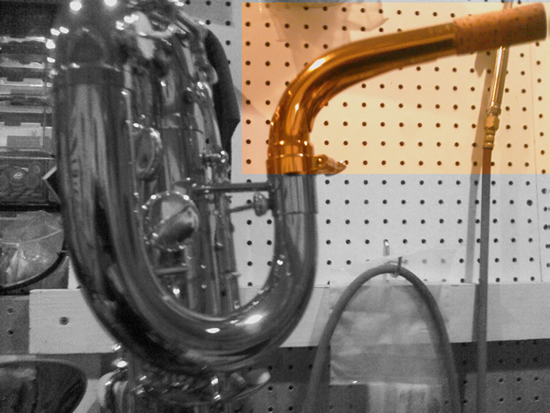 On this Keilwerth Baritone, you can see that the upper pip is located just below the receiver. In this photo, the pip was removed and plugged. 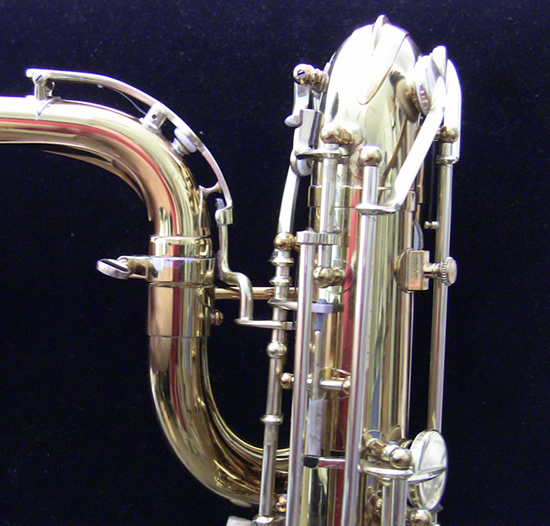 The new pip was mounted on the neck and a mechanism was built to facilitate proper operation.